Voters believe our elected officials should invest much more into alternatives to jail than they are doing now, and they do not want taxpayer dollars used to build more prisons and jails. This was the result of a recent poll conducted by Tulchin Research in 2012. In 2011, the California State Legislature enacted the Public Safety Realignment Act (AB 109). The new law requires counties such as Sonoma and Marin counties with implementing the most significant change in California’s criminal justice system in decades! The purpose of realignment is to divert newly convicted nonviolent, low-level inmates to countywide jails and local probation programs, rather than warehousing them in state facilities. The other by-product of this new law was to create jail alternatives that would reduce the number of defendants from returning to jail or prison. Penal Code section 17.5 dictates that “California must reinvest its criminal justice resources to support community-based corrections programs” — in other words, alternatives to jail. California Penal Code section 1170 (h)(5)(B) authorizes judges to reduce the sentence of someone convicted of a nonviolent, nonserious, nonsex offense and place him or her on a “concluding supervisorial term.” For instance, if a defendant is to be sentenced for a period of three years, a judge may require a defendant to serve 18 months in county jail, and then serve the remaining time on mandatory supervision. 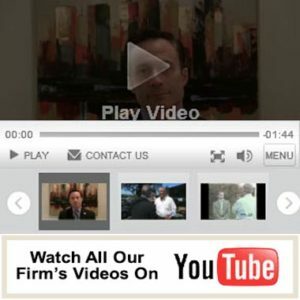 Fiumara & Milligan Law, PC prides itself on finding the best electronic confinement, work release and other innovative programs that will avoid jail for the firm’s criminal clients and those accused until trial or resolution. Listed below are the jail alternatives that will meet most, if not all, of our firm’s criminal defendants’ needs. Of course, our first goal is to work hard to get an acquittal or to have all of the charges dismissed before trial. When that goal is not possible, the right jail alternative will make all the difference in the quality of our client’s life and may affect his or her future indefinitely. Listed below are just some of the many jail alternatives that may be appropriate for you or any of our clients. Pre-Trial Release Program: Similar to the early case resolution, or “ECR Court,” this program attempts to get those accused/inmates into rehabilitation as soon as possible so that they receive the necessary and appropriate treatment that they need, while they are spending time in jail, at taxpayers’ expense. This idea still is in the works. Homeless Court: This jail alternative court will interface with the inmates who are presently in the jails who are homeless or close to being homeless. The jail staff will work with the inmates together with county mental health providers and other professional staff and probation. This court will work together with the mental health court (known as “FACT” Court – see below) that will be established in the criminal division. The county already has an established domestic violence and drug court, which will interface with the homeless court. Released on Own Recognizance (OR): Your attorney will request this type of release prior to your sentencing. OR is granted based on your promise to appear at future court proceedings. We have been successful in getting individuals like you released by arguing to the judge that they will return to court based upon their community ties, lack of failure to appear (FTAs) in the past and other factors. This will save you a great deal of money on bail. Supervised Own Recognizance (SOR): Your attorney will request this type of release if the request for OR is denied. This type of release means your behavior is strictly controlled, which can include testing for alcohol and drug use, warrantless search and seizure, and stay-away orders from the victim, if any. Many other conditions can apply – ask your attorney. Failure to meet the strict terms and conditions may result in you returning to jail. Penal Code section 1000 or “PC 1000”: This is a state-approved program for adult misdemeanor and felony narcotic offenses. This alternative to jail takes the place of traditional court proceedings. Our attorneys are very familiar and experienced with getting our criminal clients approved. This program permits only specified first-time offenders of controlled substance offenses to participate in the program while entry of judgment is deferred. Community Accountability Diversion (CAD): Sonoma County allows for the postponement of criminal prosecution for certain specified misdemeanors. Please call Fiumara & Milligan Law, PC to find out which ones qualify you for this worthy jail alternative. Sonoma County Probation Department Adult Offender “Work Release Program”: In lieu of jail, our attorneys will successfully negotiate a jail alternative that allows you to work for the county over a period of time that fits your schedule. This oft-used alternative allows you to continue to work at your regular job, pay rent or pay your mortgage, and take care of your family responsibilities while serving your “jail sentence.” For more, details click here. Home Confinement: Sonoma County has program that allows a criminal defendant to do his or her jail time at home. The defendant can leave home for work; for drug, alcohol or medical treatment; to continue his or her schooling; and for grocery shopping and laundry, if necessary. If you live within Sonoma County, the program is administered here; if you live outside the county, then Sonoma County screens you and you are permitted to perform the program through Leaders in Community Alternatives, Inc. (LCA). In addition, you can be tested for alcohol or drugs before you are fitted with the device or bracelet. You may even be fitted with a bracelet similar to SCRAM, a monitoring device on your ankle to be worn at all times. We would be happy to discuss this program and the private organization that monitors the bracelet. Please contact us at your earliest convenience. Marin County Adult Offender Work Program (AOWP): The judge must agree to this jail alternative, but it only applies to defendants who have been sentenced to serve 29 days or less. Of course, there are fees and a convoluted booking process, which we would be happy to take you through, so that you don’t miss this worthy jail alternative and can avoid going to jail. For more details, click here. Marin County Probation Department, County Parole Program: You must have been sentenced for a total of 30 days or more to serve in the Marin County jail to qualify for this program. All applicants must receive an alcohol or drug assessment from the Bay Area Community Resources (BACR). There are several other requirements, including having a fixed residence with electrical service and either a telephone or cellphone. Parolees are supervised by Leaders in Community Alternatives, Inc. (LCA). There is also an application process, fees and strict requirements, so please contact our law firm for further details if you think that you may qualify to participate or desire to participate in this program in lieu of jail time. For more details, click here. There are alternative courts and alternative to jail treatment programs that have been set up for criminal defendants to avoid jail, but also to work toward rehabilitation and treatment for our clients. Click here for more information. There are still other alternatives to jail and ways to avoid jail now, so why wait? Please contact us for a confidential and free consultation to find out what jail alternatives would be most suitable for your particular criminal offense, especially if you are a first-time offender. Please call us toll free at 855-247-3190, or locally at 707-387-0940 in Santa Rosa and 415-234-0142 in San Rafael.